With a forest of massive columns, the void of the space is lost. I rarely meet the contemporary space of 50% of mass. There is the value here on the contrary of the contemporary value of the flexible space. The surface of the column is curved with the ornament, the color was lost now. After thousands years, the landscape is back to the natural color of the surrounding sand color. 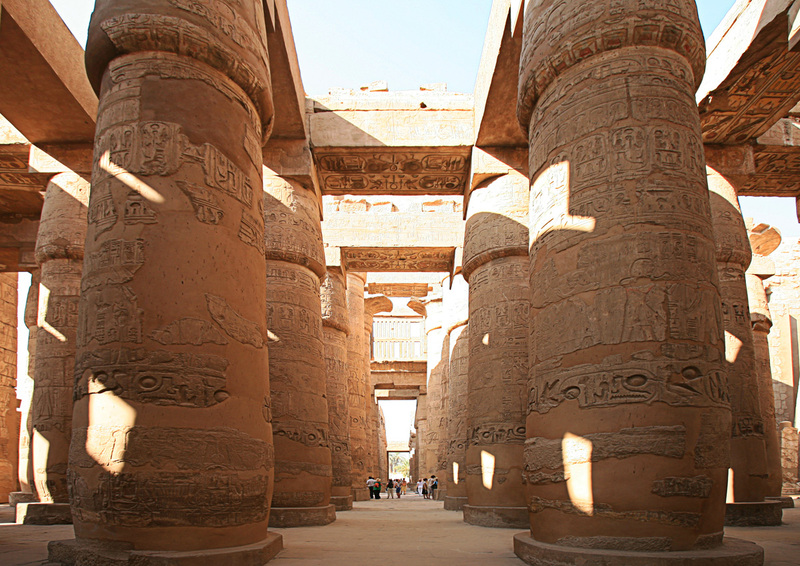 The columns are out of human scale, but I feel the comfort and relax with the consciousness. I image the story human-being will be back to the nature.